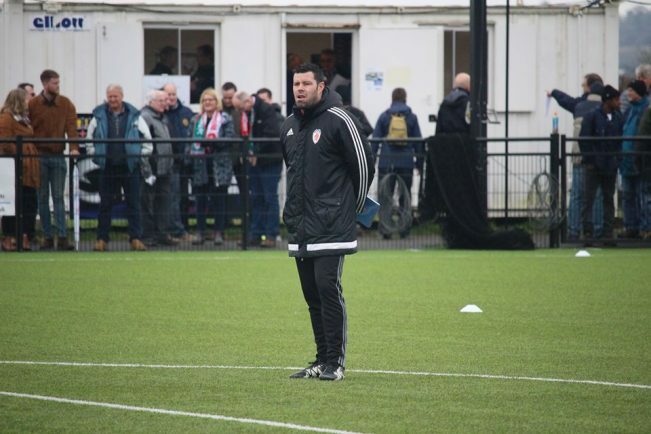 BOSS Brendan Kelly has called on his players to show more aggression if Bromsgrove Sporting want to survive in Southern League Division One Central this season. Kelly told the Standard the squad needed to have more steel about them following the 2-1 and 3-1 pre-season friendly defeats to Leamington and Halesowen Town respectively. Last Saturday’s clash against Leamington provided a stern test against National League North opposition and Sporting fell behind early on to a Daniel Morris own goal before Richard Gregory levelled things up. Brakes then got the winner on the stroke of half-time through Matt Stenson. Sporting were once again found guilty of conceding early against Southern League Premier Central side Halesowen on Tuesday night, finding themselves 2-0 down after just 11 minutes. Again it was Gregory finding the net to reduce the arrears six minutes later before the Yeltz added a third prior to the break. “In regards to our make up and the type of team we are, we need to input, if possible, a little more steel,” said Kelly. “At the moment we are little toothless and if you want to survive in the Evo-Stik Leagues you need to have something about you. “I am not asking the lads to be nasty; they just need some more aggression and that’s what I have learnt about the squad over the last two games. “In the games against Leamington and Halesowen we were outfought in the first half, not because they have better players but because they were more physical. Kelly added some of the performances from individuals in both games were below par, not good timing when the Sporting boss is trying to cut down his squad ahead of the new league campaign getting under way with a trip to AFC Dunstable on August 18. “We spoke to the lads after Tuesday night that they need to have a league game mentality,” he said. “I have to start thinking about the matchday squad of 16 so the lads have to make the most of the minutes they are given. “Cutting the squad is part of the manager’s job and it’s nothing personal, just strictly business. Tory Herbert and Guy Clark are the latest players to be cut loose from the squad which could be kept to a maximum of 20 players. Meanwhile, Sporting look resigned to not seeing their all-time leading scorer Jason Cowley don the classic red and white stripes after Kelly confirmed the striker had signed forms with National League North side AFC Telford United. There had been hopes to have Cowley on a dual registration but Kelly said: “He has signed forms with Telford and that is where we are at, nothing more or nothing less. Sporting entertain Stourbridge on Saturday before welcoming Rushall Olympic to the Victoria Ground on Tuesday night. The Rouslers complete their pre-season schedule with a home clash against Evesham United on Saturday, August 11.